Coming together as a community to break bread, and celebrate the end of many growing seasons to come! 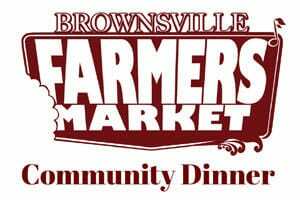 The Brownsville Farmers’ Market has teamed up with the Haywood County High School Culinary Arts division to prepare a farm-fresh meal consisting of produce donated by local farmers. October 8, from 5:30pm to 7:00pm at 1030 E. Jefferson. Contact Lauren Patterson at 731-772-1212 with any questions.